In the present era of changing global dynamics, the regional economies need to work in close collaboration with each other. The mutual cooperation among regional stakeholders not only ensures strong multilateral ties but also enhances the shared objectives of long term peace and stability among the nations. The organisation of South Asian Association for Regional Cooperation (SAARC) is the forum of eight countries in South Asia that are bound by ties of shared history and culture. SAARC is a tangible manifestation of its member states to promote peace, stability, amity and progress in the region through strict adherence to principles of territorial integrity, sovereign equality, non-use of force, national independence and peaceful settlement of disputes. Pakistan is honoured to chair South Asian Association for Regional Cooperation for the second time as H.E. Amjad Hussain Sial heads SAARC as the 13th Secretary General. Amjad Hussain Sial is a seasoned diplomat with a promising career spanning over 33 years. He has held multiple high profile diplomatic positions at foreign missions in Zimbabwe, Austria and United States of America. He has worked as ambassador to Tajikistan and Pakistan’s permanent representative to the United Nations. Mr Sial holds an MSc degree in Defense and Strategic Studies and a diploma in International Relations and Economic Cooperation from German Foundation for International Development. In 1983, he joined foreign service of Pakistan as a Section Officer at the Foreign Services of Pakistan. His unmatched leadership qualities and solid commitment to serve his country enabled him to reach unparallel heights. He was appointed as the Additional Foreign Secretary at Foreign Services of Pakistan. 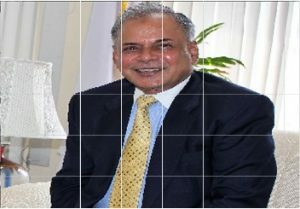 H.E Amjad Sial was serving as a Special Secretary when he assumed the post of SAARC’s Secretary General. He has replaced Arjun Bahadur Thapa of Nepal, whose three-year term as SAARC’s Secretary General expired in March, 2107. The secretary general of SAARC is appointed from member states on the basis of the principle of rotation in alphabetical order for a period of three years. H.E. Mr. Amjad Hussain B. Sial chaired the 8th Meeting of the SAARC Immigration Authorities at the SAARC Secretariat in Kathmandu. The meeting was convened to develop a security software for electronic visas under the SAARC Visa Exemption Scheme. The representatives from the Immigration Authorities of the Member States of SAARC participated in the meeting. While speaking at the occasion, Mr Sial said that, “I firmly believe that people-to-people contacts are essential for effective regional integration and in order to achieve that, connectivity is the key.” He stated that the SAARC Air Service, SAARC Motor Vehicles and SAARC Railways Agreements are under consideration by the Member States. The Secretary General of SAARC, Mr. Amjad Hussain Sial, inaugurated the recently renovated conference facility equipped with state-of-the art video-conferencing system at the SAARC secretariat, Kathmandu. The facility is aimed at enhancing the Secretariat’s capacity and capability to interact with the member states in an efficient manner. It will also facilitate video-conferencing among the Member States. It is also in-line with the stress laid-down by the SAARC member states for the upgradation of the information technology at place at the SAARC secretariat to act as nerve centre for the regional cooperation. Deeper economic integration will help sustain this growth rate by creating an integrated South Asian market ensuring a free flow of goods, services and capital. The destiny of South Asian nations today is to either swim together or risk sinking separately in the battle against poverty and unemployment as well as in meeting the challenges of the environment, national security, and globalisation.